The Dayak Oil Palm Planters Association (DOPPA) filed a protest to Jonathan Watts, the Global Environment Editor for The Guardian in UK. The original article written under the headline and sub-headline “Britain and Europe must ban palm oil in biofuel to save forests, EU parliament told. Forest peoples affected by plantations urge EU to enact ban despite diplomatic opposition” was deemed to be misleading. DOPPA who represents the indigenous farmers of palm oil in Sarawak requested equal space on The Guardian to voice their side of the story and how the proposed EU ban on palm oil-based biofuels would threaten their livelihoods. I am writing on behalf of the indigenous small farmers of Sarawak who plant oil palm. The wordings of the headlines are misleading in our opinion as they seem to indicate that all indigenous peoples are against oil palm cultivation. 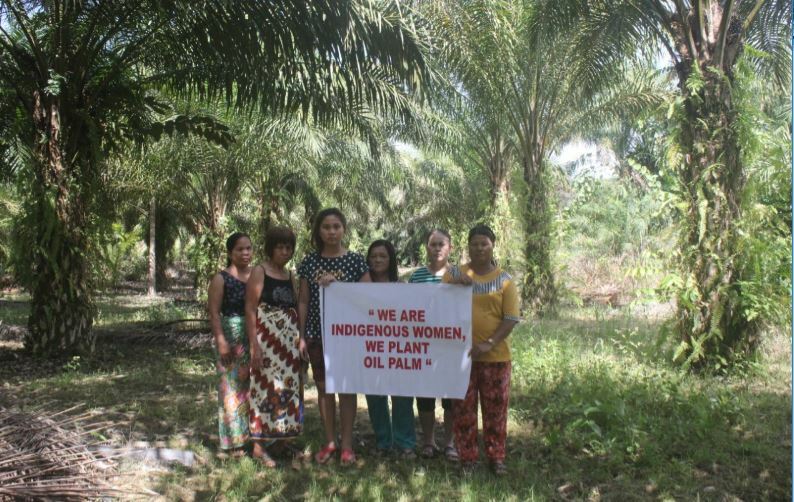 This does not fairly represent the whole truth as we know of many indigenous peoples that have benefitted from oil palm farming, especially as owners of small farms. As such, we respectfully request equal representation of the facts on palm oil as seen through the perspectives of an indigenous farmer. I am the Vice-President of the Dayak Oil Palm Planters Association in Sarawak, Malaysia. DOPPA was formed in 2015 to protect the interests of Dayak oil palm farmers. Licenses issued to Dayak farmers of oil palm in Sarawak according to the Malaysian Palm Oil Board ( MPOB ) which regulates all palm oil activities in Malaysia show there are some 28,000 small indigenous farmers of oil palm in Sarawak alone. Since our formation of DOPPA, over 1000 of these small farmers have paid to become members as they have recognized the benefits that membership brings including a united voice for indigenous farmers. We can claim as victories the continued federal subsidies for indigenous farmers for even those whose land title have yet to be confirmed by the state. Our campaign to have indigenous land titles recognized under the Native Customary Rights ( NCR) continues to gain support from both the indigenous peoples of Sarawak and the state government. To suggest that all palm oil causes deforestation or conversely that all indigenous lands are forests that need protection is not entirely correct. In Sarawak State, indigenous peoples oil palm farms do not cause deforestation. We plant oil palm on “temuda” which translates into cultivated lands that were cleared for cultivation or development of settlements by our forefathers. Our families have owned and cultivated these lands for generations. No forests were cleared just to plant oil palm on these family farms. These lands are undeniably, even at state legislature level, native lands. Like the indigenous peoples mentioned in your article, we too are similarly challenged with obtaining legal title to our ancestral lands. Thus DOPPA sees the cultivation of oil palm and other cash crops as also a way forward to have our ancestral lands surveyed and issued with titles. We, as indigenous farmers of oil palm, are very concerned about the proposed ban on the use of palm oil as biofuel in the EU. As the Minister of Agriculture has correctly said, the proposed ban is discriminatory and doubly so in the case of indigenous oil palm farmers. Many of our members work their own farms and remain grateful when prices for fresh fruit bunches( FFBs ) remain at 92 GBP per ton. It might be easier to understand by saying our farmers are paid 0.09 GBP per kilo. As meagre as this sum might appear, it is a bounty to indigenous farmers whose options in growing rubber or rice as cash crops are even bleaker. Our worry today is that should the EU remove palm oil from its biofuels, it will affect the price for Malaysian palm oil which includes what our members grow. To apply a general ban on the use of palm oil is to deny indigenous farmers access to the only market willing to pay premium prices for sustainable products. We do appreciate the concern of Europeans for forests as we too have always maintained some forested areas within our ancestral lands to provide what we do not have to grow. For that reason, as indigenous farmers, we are firmly in support of the Malaysian Sustainable Palm Oil MSPO ) scheme which we know will enable us to attain higher yields with the use of less land and agri-chemicals. My own family’s longhouse which is home to 20 smallholders has been audited for certification under the MSPO scheme. Whether we pass or not, we look forward to further improve on our farming practices based on MSPO Principles. We hope you will allow the indigenous farmers of oil palm in Sarawak an equal voice on your esteemed platform for the environment and look forward to your personal visit should you visit Malaysia. The article has since been amended to reflect DOPPA's concerns and now carries the headline "Britain and Europe must tighten palm oil supply chains to save forests, EU parliament told"